User: U.S. Navy Carrier Airborne Early Warning Training Squadron VAW-120 and Fleet Replenishment Squadrons VRC-30 (San Diego) and VRC-40 (Norfolk). CH-53E Baseline Configuration Upgrade (BCU) Program for a new CH-53E Containerized Flight Training Device (CFTD) Device 2F246 for MCAS Futenma, Japan and modifications to the CH-53E CFTD 2F220 in Marine Corps Air Stations (MCAS) Kaneohe Bay, HI. Both devices started with the 2F239 FTD which ASI delivered to New Jersey as a baseline. 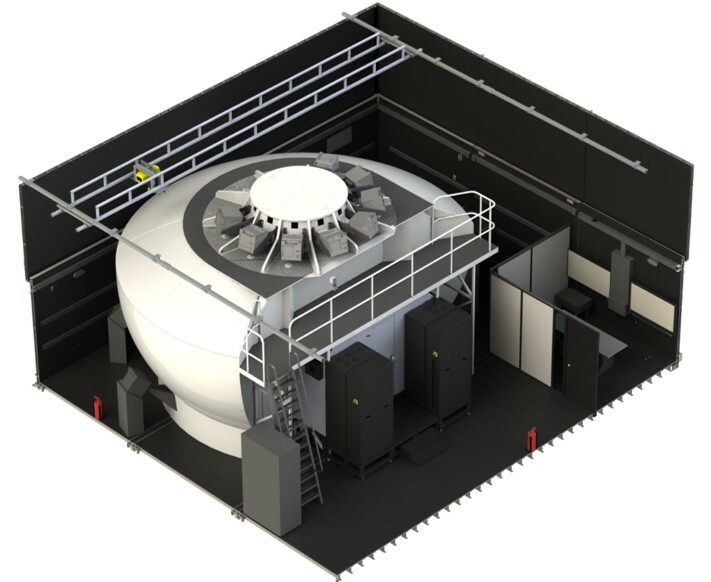 For Device Hawaii, ASI will be replacing the projectors and upgrading the image generator with a whole world database, enhanced simulated brownout, NVG stimulation, aerial refueling. A new Smart Multifunction Display (MFD) will be added to the cockpit. ASI will also update the computational systems. For Device Japan, ASI built a new device from scratch with the Hawaii device as the baseline and added an impressive 260×80 degree Field of View (FOV) display within the container. This program followed two other CH-53E programs ASI had performed to support the U.S. Marine Corps over the previous decade. Among other then and since, ASI had updated another CH-53E Aircrew Procedures Trainer (APT) in Futenma and developed a new Flight Training Device (FTD) which was delivered to Joint Base McGuire-Dix-Lakehurst (JB MDL), New Jersey (NJ). © 2019 Copyright Aero Simulation.